HELLO @kite, I have problems with the creation of a clean retropie iso 4.4, when I try to add the Circuit Sword lite repository, I get an error. What can be the problem =? Username/ password during clone? There must be something wrong. 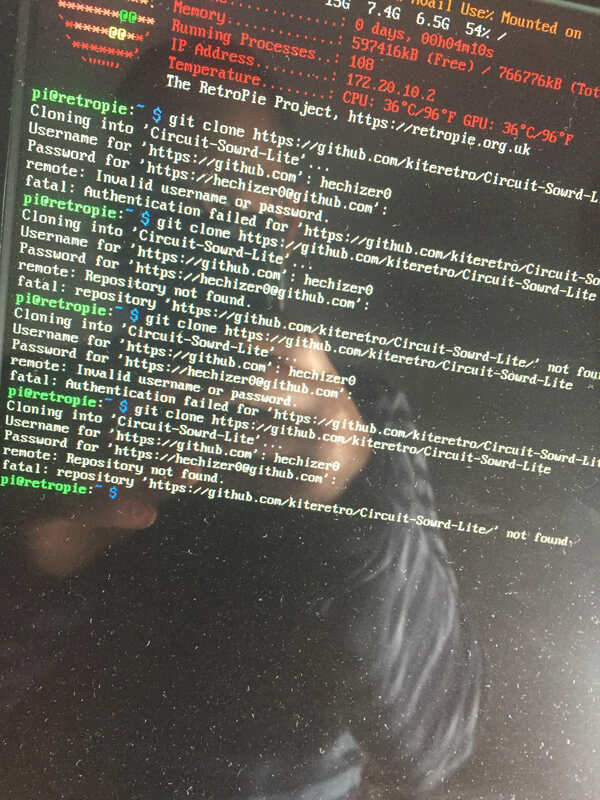 Edit: makes it a difference to do the clone via terminal (ssh) or like seen on the pictures direct on the pi with keyboard?